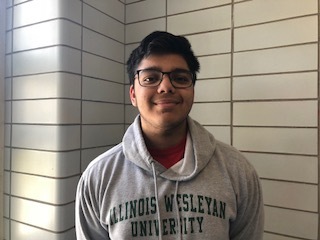 The Niles West boys tennis team has been trying to improve its record, and they have another chance to do so by taking on their rivals, the Niles North Vikings. Niles West’s varsity team has had a disappointing season so far, only winning one match. Sophomore Elijah Pagador hopes they are be able to win today’s game, especially with it being his first year on varsity. “It’s always fun to play rivals, but it’s better when you beat them. It would be nice to beat them my first time playing them on varsity. I’ve been rooting for West all my life, so it would be rewarding if we win. We could only do that if we don’t make errors, stay focused, and play our best,” Pagador said. The boys tennis team only has three seniors graduating, so the group playing this year will comprise the majority of the team next year, so their experiences this year could be beneficial in future seasons. Sophomore Peter Conenna thinks it will be a good game to come out and watch. “It’s always a good game when you play against your rivals because there is an urgency to win — that’s your rival, so if you win you have bragging rights. We have to show them who’s boss, and although our record doesn’t show it, we are the better team and we have to have three times as much effort as them,” Conenna said. Head coach George Bravos is very excited to go against Niles North. “In all my years here it’s always a challenge to play North because they usually give us a competitive game. This is one of our most anticipated games because it’s against a rival,” Bravos said. Niles West boys tennis will face Niles North away at 4:30 p.m. Make sure to come out and watch.